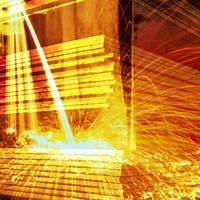 Alloy Plate and Flat Bar resists corrosion, high temperatures. 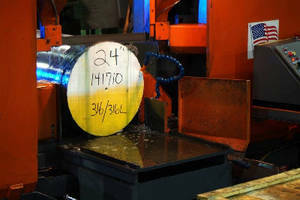 Offered in thickness from 3/16-Â¾ in., 330 Plate and Processed Flat Bar (Alloy 330 UNS N08330) suits high-temperature, high-pressure applications such as chemical and petrochemical processing, thermal processing, ore processing, and power generation. 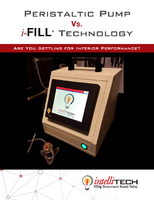 Austenitic, nickel-chromium-iron-silicon alloy, used where resistance to combined effects of thermal cycling and carburization is necessary, can be custom-fabricated to any shape/size via water jet cutting or other in-house processing methods. 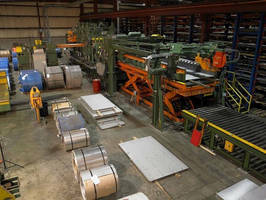 Quakertown, PA - Penn Stainless Products has introduced a new line of 330 Plate and Processed Flat Bar (www.330stainless.com) to its family of high-temperature product offerings. 330 Plate and Processed Flat Bar (Alloy 330 UNS N08330) is ideally suited for demanding, high-temperature, high-pressure applications such as chemical and petrochemical processing, thermal processing, ore processing, and power generation. Penn Stainless Alloy 330 Plate and Processed Flat Bar provides superior resistance to corrosion and heat exposure, in even the most demanding, high-temperature environments. Alloy 330 is extensively used where resistance to the combined effects of thermal cycling and carburization is necessary. 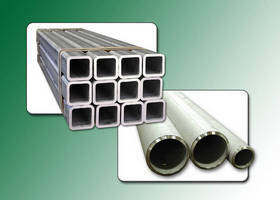 Penn Stainless also stocks 309/S and 310/S, other grades that are typically used in high-temp applications. Available in thickness from 3/16" to 3/4", Penn Stainless Alloy 330 can be custom fabricated to any shape or size through water jet cutting or a number of other available in-house processing methods. Alloy 330 is an austenitic, nickel-chromium-iron-silicon alloy with excellent corrosion resistance provided by the high nickel content, as well as its chromium and silicon content. In particular, the material fends off chloride stress corrosion cracking and sigma phase embrittlement, as well as oxidation, carburization and nitridation (up to 2200°F). Alloy 330 also has a low coefficient of expansion, excellent ductility, and high strength. For more information, contact Penn Stainless Products, Inc., 190 Kelly Road, Quakertown, PA 18951 USA; Phone: 1-800-222-6144 / 215-536-3053; Fax: 215-536-3255 E-mail: sales@pennstainless.com; Web: www.330stainless.com.